I put an alpine blue tooth hu in my S and the modifry controls. I did not go with the speed variable control but I may add that and a small amp as my next upgrade. 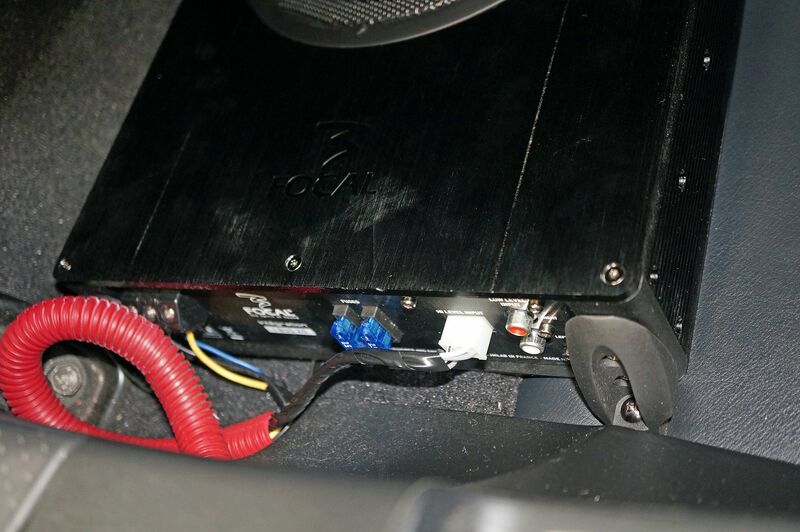 Alpine makes a very small amp that I think may fit behind the dash and might be sufficient. Here is a link - anyone using this? https://www.crutchfield.com/p_500KTP445U/Alpine-KTP-445U-Power-Pack.html?tp=115&awkw=75621810505&awat=pla&awnw=g& awcr=47439227185&awdv=c&awug=9002910. I like the ability to stream from my iphone via bluetooth or usb which the aftermarket hu provides. I spend time with the music on despite the fact that I also enjoy the sounds the car makes all by itself. Sound deadening may well be one of the best things to do. It seems like a project though and I have a ton of projects on the list! its a Kenwood under the the drivers seat- kscsw1100. I have a single Focal SW behind the driver's seat. It wouldn't quite fit under the seat. Best addition to the audio. So, you guys think adding the SW makes more sense as a next step v. adding an amp? Does the head unit run the SW without adding an amp? What's involved in wiring the SW under or behind the seat? I have the Focal IBUS 2.0. It has it's own built-in amplifier. What audio system do you have in your S2K? Why? Fuse Tap - Under Dash - what to use for Constant power ?